As we enter our eleventh year at the Bronx High School for Writing and Communication Arts (BHSWCA), I thank you for working with us to create a safe, orderly, rigorous, and positive learning environment. The school year is off to a great start and I appreciate your support! 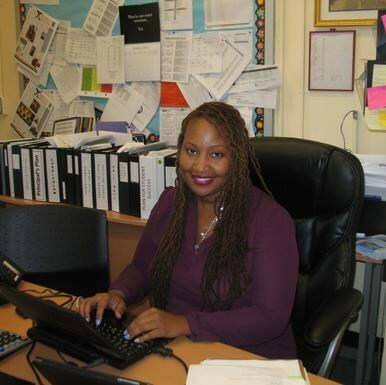 This is my tenth year as a school principal, having completed three delightful years at BHSWCA, four years at a Department of Education high school in Brooklyn that I founded, and two years at a charter middle school in Harlem. Before that, I worked for two years as an assistant principal and served five years as an elementary, middle and high school educator who focused on science education in Boston. While teaching, I founded and directed a Saturday Academy funded jointly by the Urban League in Boston and the undergraduate teaching department at Northeastern University. I graduated from Syracuse University with my undergraduate degree in education public policy, although I started my studies at the S.I. Newhouse School of Communications as a broadcast journalism major. I have always been interested in writing, starting from my early days as the editor of my high school newspaper. I graduated with my Master’s Degree in School Leadership from the Harvard Graduate School of Education in 2002. I have two children named Akin and Lyabo, who are ages 11 and 13, and we reside in Englewood, New Jersey. Last year we achieved synergy as a school and we earned a proficient score on our quality review. We improved our scores and earned positive marks on all categories of our school survey. This year as we embrace the new changes that come with meeting the common core learning standards and ensuring that all of our students are college ready, we will be challenged to build upon our strengths. It means that we must work as a team. Everyone must raise their level of involvement. Students should wear their uniform, arrive on time, engage in class and pass all of their classes. They should also participate in after school clubs, Saturday tutoring and join our school academic and sports teams and other extra-curricular activities. Parents and guardians we need you to listen to our weekly voice messages, attend school events, including parent and teacher conferences and join the Parent Association or the School Leadership Team. This website is intended to help us build a common language for what we do and who we are. It should guide the way we work together. I want to thank each of you for your commitment, dedication, and effort. I look forward to a collaborative, productive and successful school year with you all. Finally, I look forward to working with you all to achieve our school’s vision, which is to create a community of life-long learners, readers and writers who use the written world as our vehicle to explore our world and to know ourselves.